Barney (Scout) and Sandy (Frodo) Mann have been hosting hikers at their home in San Diego since 2006 and hosted over 1000 last year! 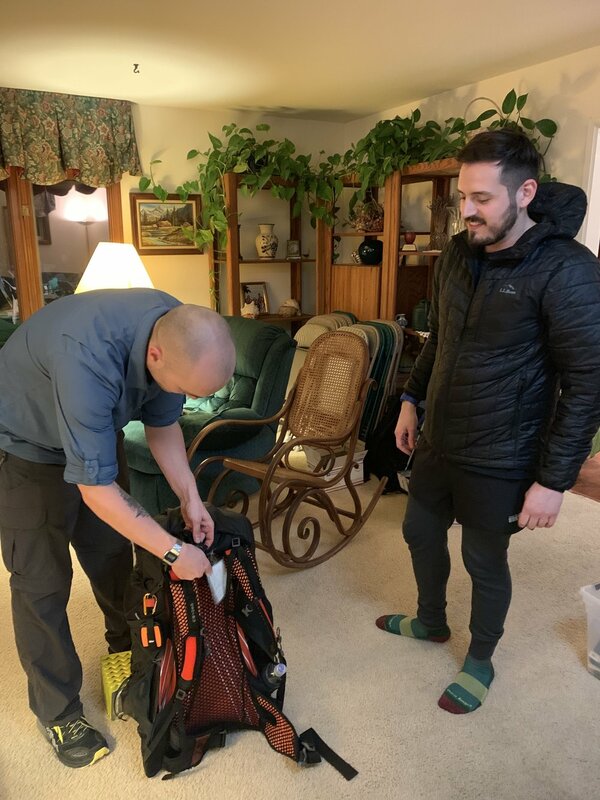 They feed you, put a roof over your head, give you loads of valuable information, pick you up, drop you off but most importantly their warm and inviting home melts away any pre-trail nerves. Eliot and I had already said our goodbyes before he dropped us off but it was still pretty emotional, it was a mix of not seeing his lovely bearded face again for a while and oh my goodness this is really real. I think pulling up at the house was the defining moment of okay, this is really happening. There was no time for waterworks though, we were greeted immediately by Diggy who stopped what she was doing and took us on a tour of the entire home. There were big tents and marquees in the garden for hikers to sleep in, even a tree house that Scout built (with a skylight) which housed two hikers. As we were a group we were lucky enough to stay in their sons room where Scout came to personally greeting us. 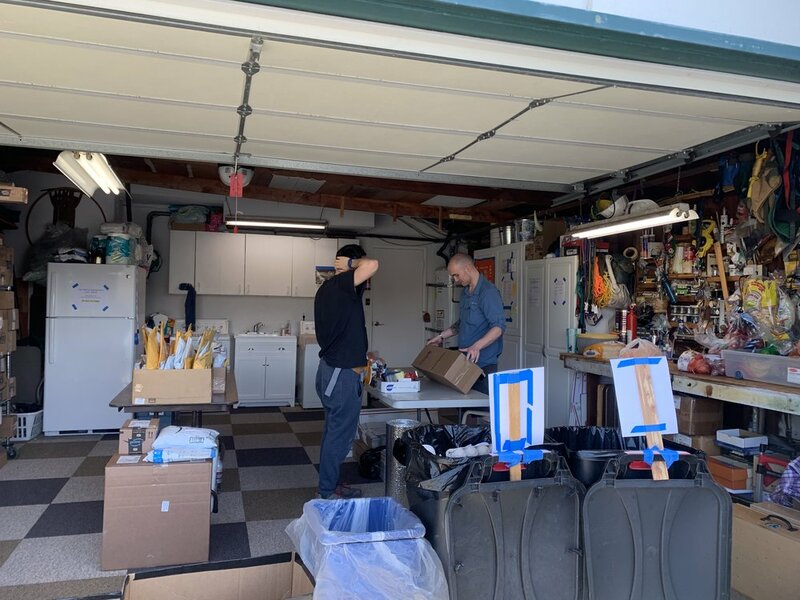 The house was equipped for hikers, the garage was set up as a mailing station where you could build boxes up of food to post along, there was a huge shelf of post that they receive on behalf of international hikers like ourselves. Miles had posted his tent to theirs and Claire had sent her sleeping bag to avoid import taxes into the Uk. Miles opening his new tent! They had even organised for a shuttle to go to a local outdoor outfitters and the AT&T phone reps came to the house to set up people’s phones! It was an unbelievable organisation right out of their own home! 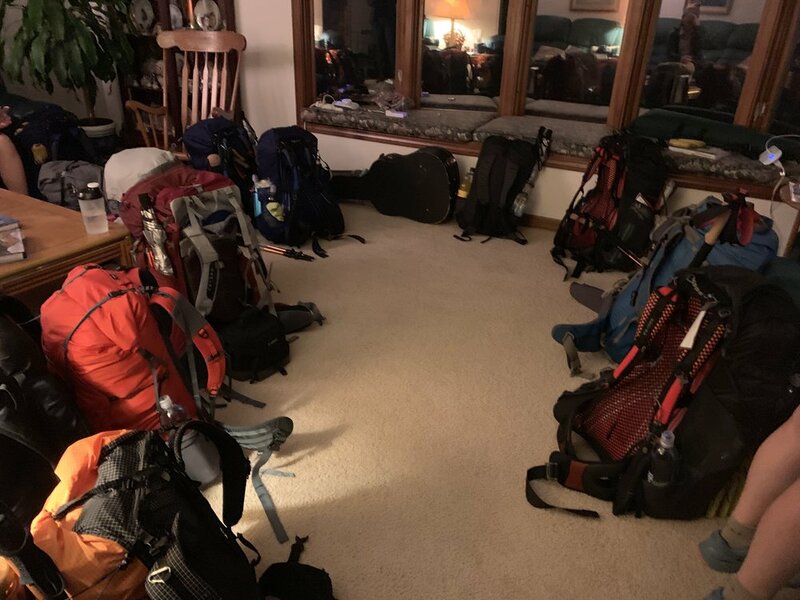 It was great to mingle with other hikers who all had the same apprehensions about starting, there were 35 staying over the night we were and 24 were starting the trail with us. We were fed spaghetti and home made coleslaw, they had even made special portions for the vegetarians and gluten free folk. As we ate sat in a big circle of camp chairs, Scout excitedly told us tales of the trails and a bit about their history. Frodo would occasionally roll her eyes or make a quip at a comedic moment but it was all part of the act. After dinner and the most amazing almond cake baked by Scout’s sister, we packed and repacked our bags, trying to get everything in and workout some kind of order. We had heard that if you were lucky you might get to have a little singalong. Well, we were the lucky ones! Scout and his sister took it in turns to sing us a few songs and we all joined in quietly. Frodo even joined for a song, we had almost forgotten we were about to start the on trail in the morning! Lying in bed that night, all I could think of was just how lucky I was to be there and how happy I felt. The nerves had all but gone, I was ready.